Water is like the air we breathe; it’s essential for life. We rely on our water just like the electricity that powers our homes. You don't think about it until it's not there, unless you're Riviera Utilities. We provide safe, dependable and plentiful water to more than 12,600 customers in south Baldwin County. Riviera Utilities operates 6 wells located throughout the area, and water from these wells is pumped to one of our two Riviera Utilities Water Plants, where the treatment process includes PH control, chlorination, corrosion control, and fluoridation. The treatment plants can supply up to 5.8 million gallons per day. 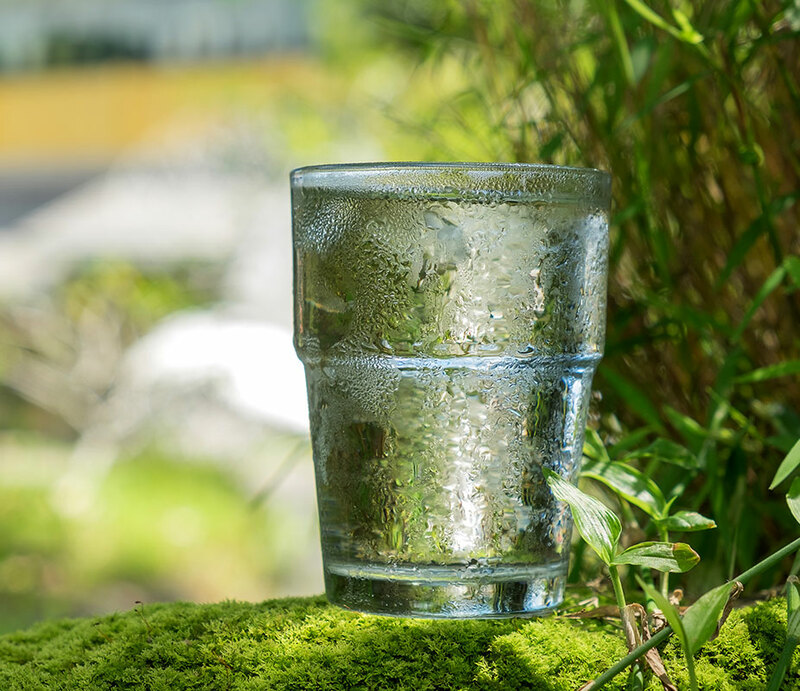 In order to ensure that tap water is safe to drink, the United States Environmental Protection Agency and the Alabama Department of Environmental Management prescribe regulations that limit the amount of certain impurities in water provided by public water systems. Riviera has posted its Water Quality Report on this website for your convenience. There are a number of ways to save money on your water bill. Below are a few suggestions to help you conserve water. Aerators, flow regulators, and displacement devices will help you save money. Stop those drips! A faucet that drips water can waste up to 3,280 gallons of water per year! Short showers use less water than baths. Stop running water just for the sake of hearing it run when washing dishes, washing the car or even brushing your teeth! Make sure the dishwasher is full before running it. Thaw food in the refrigerator instead of running water over it. Install low-flow toilets that use much less water than older models. Check your washing machine. Does the water level on the dial match what's in the machine? Properly chlorinate water in swimming pools, even the inexpensive backyard kid's pools, so you don't have to re-fill as often. Use a broom, instead of water to clean the carport floor or driveway. Repair leaks in water hoses. Like to water your yard? Get a separate service for watering that beautiful green and save on your sewer costs, or collect rain water. Soaker hoses or trickle irrigation reduce run-off and are 20% more efficient than sprinklers. Put a bit of food coloring in each toilet tank in your home. Without flushing, watch to see if the color shows up in the bowl. It's not uncommon to lose up to 100 gallons a day from one of these otherwise invisible toilet leaks. Riviera Utilities tests routinely for constituents in accordance with State and Federal laws. Yearly, Riviera Utilities informs the public of the results of our testing in a water quality report, which is sent to our customers freely for their reference. Below you will find copies of our annual drinking water quality report in PDF document format. Please remember that these files are large, and require a PDF viewer such as Adobe's Acrobat Reader. Water is stored in four storage tanks for a total of 3,100,000 gallons. This storage is used to meet system demands and fire flow requirements. The water is then distributed over 400 miles of mains and service lines to over 12,600 customers in our service area. After distribution and use, waste water is then returned to the Riviera Utilities Waste Water Treatment Plant. Laboratory tests are performed continually to insure that the highest water quality is produced for the community and service area. Riviera Utilities treats water for consumption by three steps or processes. These steps or processes are fluoridation, disinfection, and pH control. The following is a brief description of each process. Fluoride is added to the water for the protection of children's teeth during their developing years. The consumption of fluoride by children during these young years will assist in the prevention of tooth decay. At the same time additional chlorine is added for disinfection. Disinfection is the process by which a chemical is added to destroy any disease causing organisms that may have passed through the previous processes, and it also provides additional protection for any contamination that may occur in the distributions system once it leaves the treatment plant. pH control is an important step in the treatment process. In this step, lime is added to the finished water for the purpose of increasing the pH of the water. By increasing the pH the water becomes alkaline instead of acidic. The addition of the lime serves two purposes. One, the lime increases the pH of the water making it non-corrosive, and two, the added alkalinity provides a more stable water. A corrosion inhibitor is also added for additional stability from corrosion. 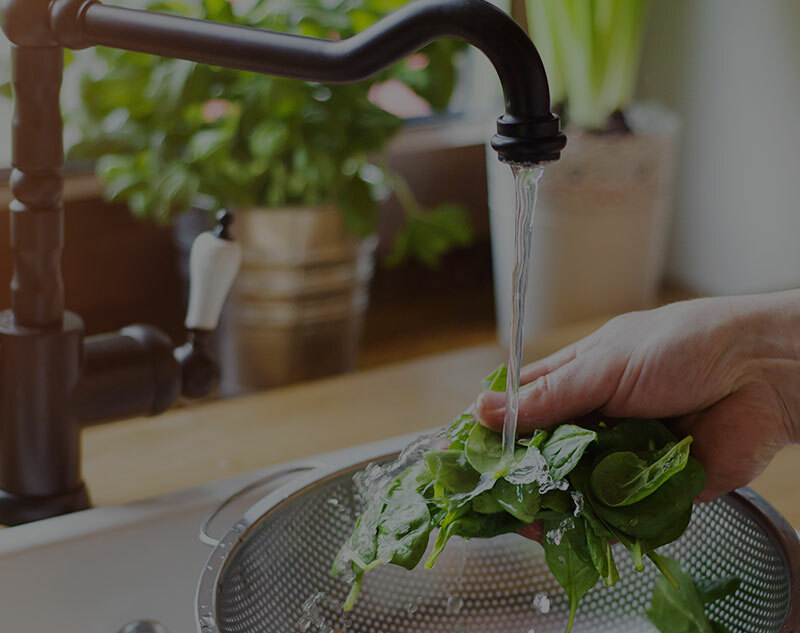 Since well water is usually very low in solids and bacteria, there is very little treatment required before the water is sent to the consumer. The soil is a natural filter that removes solids and bacteria from the water as it passes through, therefore, no other filtration is usually required. Riviera Utilities company rates can be found below in PDF format. In order to view these files you must have a free PDF viewer such as Adobe® Acrobat®. Once you are able to view PDFs, select the links below for rate information.